THE SPEAR OF DESTINY. 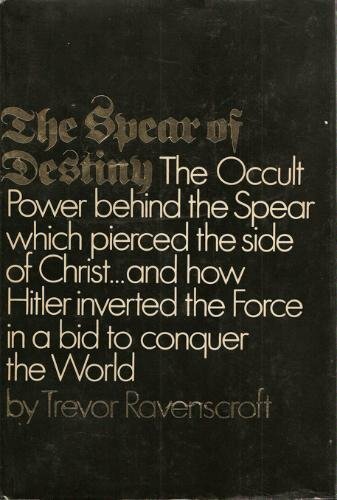 by Ravenscroft, Trevor. : NY, Putnam, 1973. 9780399111525 Hardcover, F. - Vagabond Books, A.B.A.A. Home Ravenscroft, Trevor. THE SPEAR OF DESTINY. Title: THE SPEAR OF DESTINY. This book records the legend of the Spear of Destiny and its continuing fulfillment in the decline of the Roman Empire, the Dark Ages and the 20th (and of course 21st) centuries.